Because of my job and my internship this semester, I am required to dress in business-appropriate attire every week day (with the exception of an occasional casual Friday). 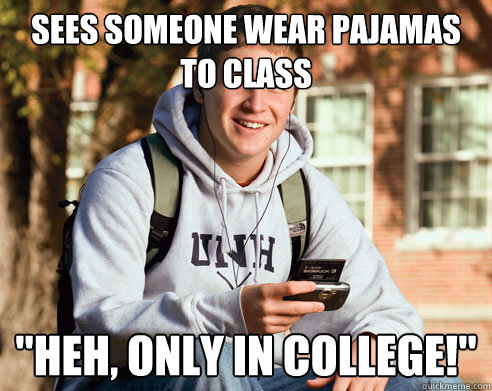 For a lot of people who work 40 hour weeks, this doesn’t come as a huge shock, but when you’re in college and some of your classmates still wear pajamas to class, you definitely feel a little different when you have to wear professional clothing to school every day. However, there comes a point when you begin to take pride in your new look. My change in wardrobe even affects my more casual clothing choices. I usually only wear yoga pants in public if I’m going to the gym, and before I purchase a lot of my clothes, I ask myself, “Would this look good with slacks and with nice jeans?” and “Can I pair it with pumps?” One thing that my experience in the working world has taught me is that appearance matters, as superficial as that may sound, because people will make snap judgments about you based on what you’re wearing. But I have also learned several simple ways to achieve a more presentable public image, in both professional and casual settings, which I am excited to share with you this week! 2. Be clean and hygienic. A little deodorant goes a long way. I still remember meeting boys in high school who didn’t seem to use deodorant, instead electing to cover themselves in Axe Body Spray, which only made things worse. It sounds simple enough, but remember to shower and take care of yourself even at your busiest. 3. Bad hair day? Accessorize. Let’s face it – our hair probably won’t look perfect every day. 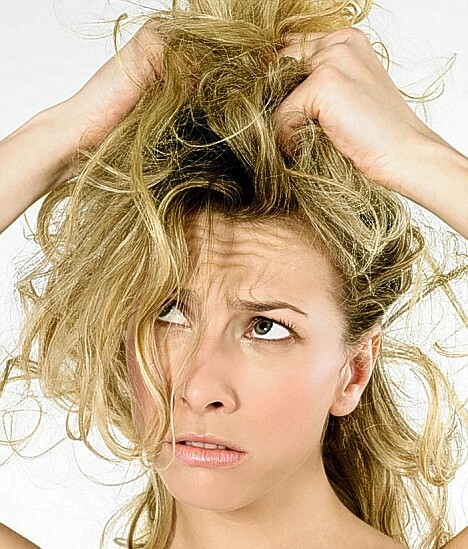 On some bad hair days, we may not have enough time to really fix it. My suggestion for bad hair days is to pull your hair back as neatly as possible (if you have long hair) and accessorize instead. For me, that usually involves a headband, because I’m five years old and a Blair Waldorf wannabe, but if you would rather wear a necklace or cool earrings, that could also detract from less-than-perfect hair. 4. Be comfortable in your own personal style. This article is not about how to look like Beyonce, or Lady Gaga, or Gwyneth Paltrow. It’s about how to look like your best self. Because of this, it is important to take your own preferences into account. Figure out what looks best on you, and own it. (Tweet this!) Don’t be afraid to try new things, but don’t wear something that makes you feel completely uncomfortable. It is okay for your style to evolve. 5. Smile – you’re prettier that way. If you walk around looking like all you want to do is punch a wall, no one will want to talk to you. It is important to be enthusiastic about the things you do, and a simple smile will help you develop that enthusiasm when you’re a little too tired to do it on your own. What are some of your tips for looking more presentable in 2013? Excellent post! I want to add that clothing color matters as well. During professional presentations, don’t go overboard with one color and stay away from loud colors. Be careful with red, too. Red is a power color and if you walk into the room decked out in red, people may be less likely to respect you because they might feel intimidated. Personally, I like wearing a peek of red to boost my confidence, so I’ll go with something subtle like a red bracelet or necklace that doesn’t take away from the whole outfit.